I don’t often go out of the way to investigate the scientific evidence that explains why exceptional wine is so good, but it’s hard not to talk about Bailly Lapierre without getting into the science and nature behind the beauty! The connections between chemistry, geology, physics, biology, viticulture and winemaking are surely very close. So a little history and geology will only support the story behind this producer of sparkling wine from a special place called Bailly. 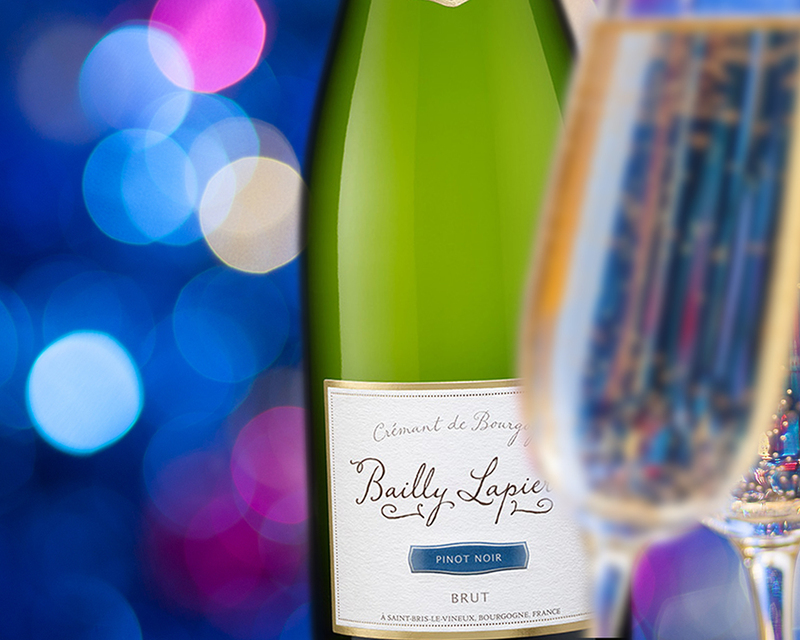 In the village of Bailly, the birthplace of the AOC Crémant de Bourgogne, you will discover a dazzling Crémant de Bourgogne producer called Bailly Lapierre. 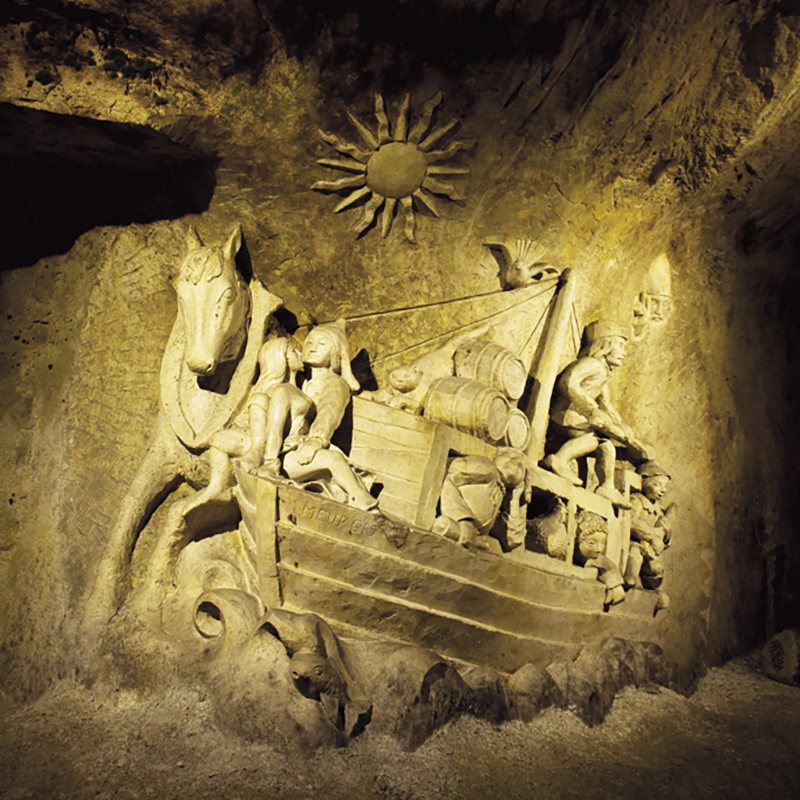 A visit to this wondrous place will take you back in time as you gradually uncover the evolution of how this part of Burgundy formed to become the magical resource it is. Bailly Lapierre is located in a region called Auxerrois in the north of Burgundy and makes 3.5 million bottles a year. In addition, they maintain a permanent stock of five million bottles to ensure that the quality of their Crémant de Bourgogne remains constant. 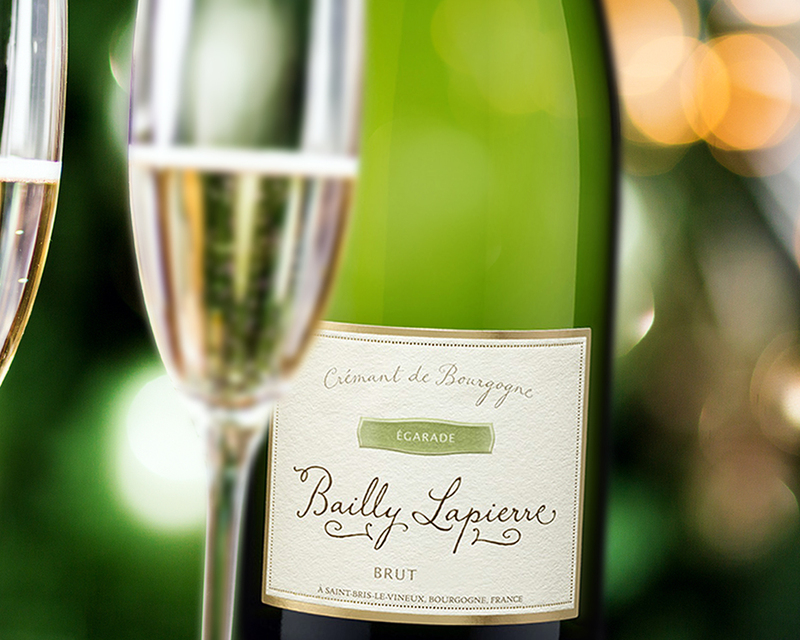 Bailly Lapierre is internationally popular and everyone knows their Crémant is an elegant, effervescent choice at an affordable price. However, Crémant de Bourgogne’s success was built very gradually and wouldn’t exist if it weren’t for the planet’s natural evolution. Bailly Lapierre’s success is rooted in geology! The wines come from good old rock! Rock that is from the Jurassic period, specifically the Kimmeridgian portion of that era. If we were to take a time machine trip back 250 million years ago in northern France, it would be a drastically different world! It would be a lot like a trip to Jurassic Park – well actually, a Jurassic water park! 250 million years ago in the place on earth we now call France, the ichthyosaurs roamed the tropical waters of the Tethys Sea. 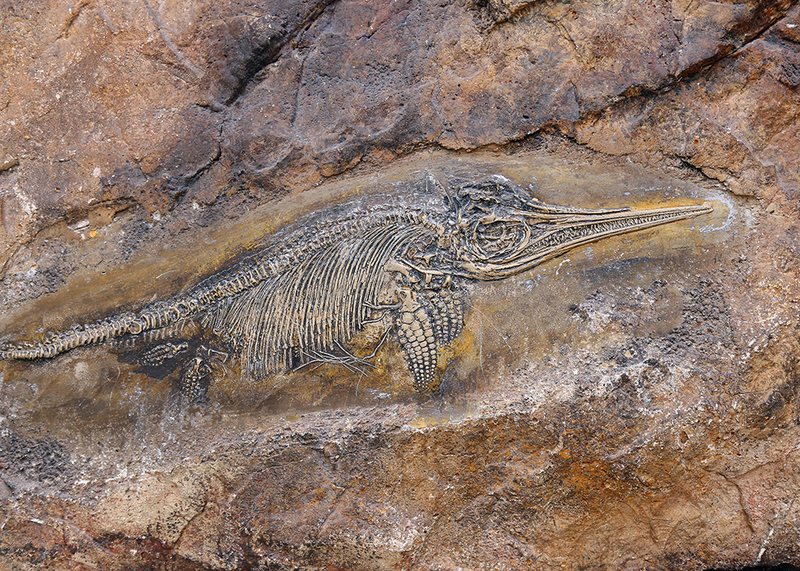 The large marine reptiles and other ancient shellfish called these warm waters their home. 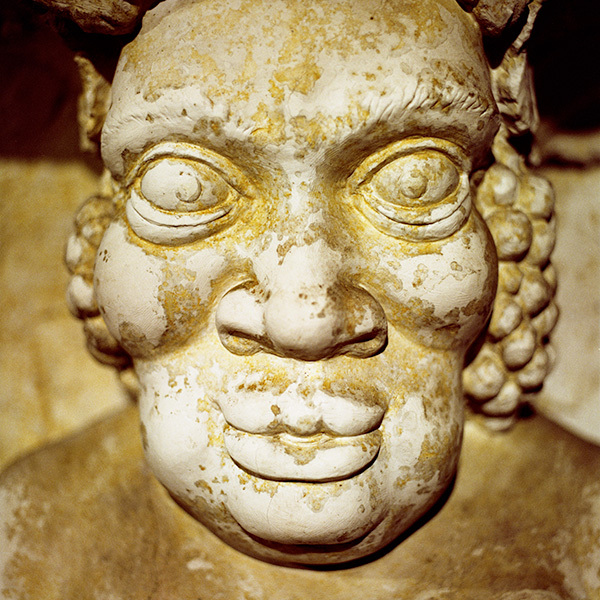 Back then, France was completely underwater except for a few islands that were much like the Caribbean we know today. The newer appellation of Saint-Bris was a shallow lagoon perfect for ancient sea creatures to thrive and eventually through time and evolution become part of the rich terroir and limestone sediment deposits that form the famous soils of Burgundy and the best appellations of France. 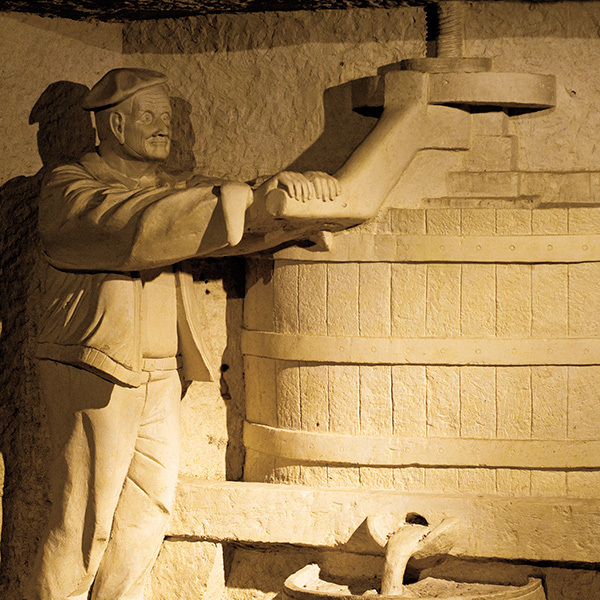 During the Kimmeridgian portion of the Jurassic era, limestone and calcium carbonate material was deposited in the rocks and that’s what lies there now beneath the most famous vineyards of Burgundy and Champagne. Winemakers, whether they know it or not, are reliant upon the evolution of geology going back millions of years in their very own vineyard sites. Anyone growing grapes in limestone soils will have a head start on quality since calcium soils help with water retention, maintaining acidity in the grape, allowing deeper rooting of vines and formation of disease-resistant berries. Science has backed up the argument for seeking out calcium-rich limestone soils when it comes to wine production. However, before Bailly Lapierre put down roots and started bottling up bubbles, the precious earth of this area was a resource for another industry all together. 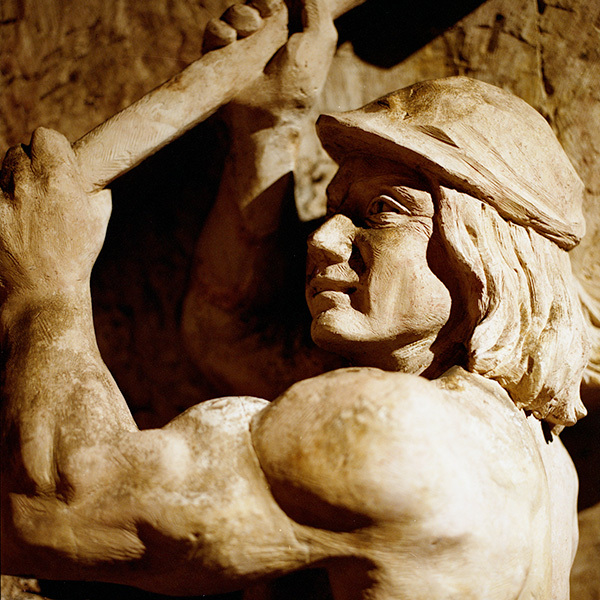 In the Middle Ages limestone came in handy for creating the infrastructure of Europe. Back then people realized that Bailly was an area rich in limestone and soon quarries were created to source hard limestone rocks. 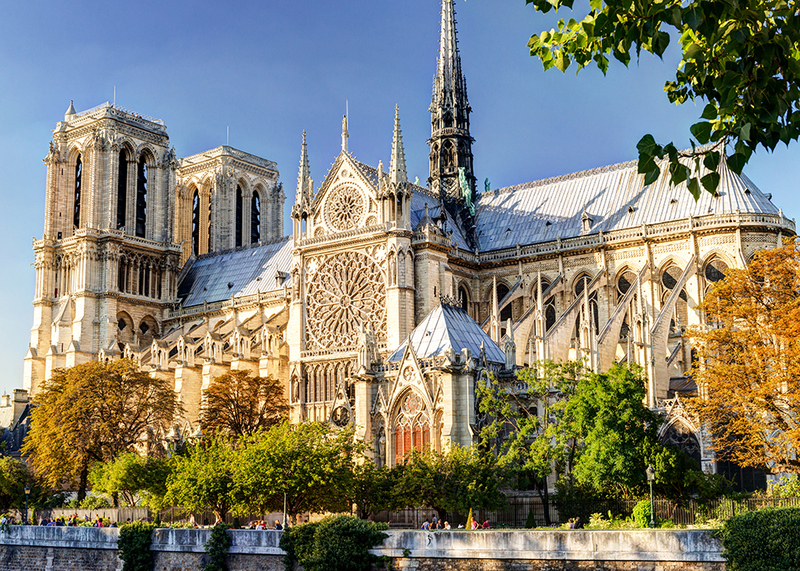 The village supplied stone for some of the greatest works in France’s architectural heritage: the Pantheon, Notre-Dame de Paris and Chartres Cathedral. Now if we step into the time machine again, and jump out in the 1970s, we discover that the ancient underground quarries are still here in Bailly! When Bailly Lapierre was established in 1972, they decided that the cellars, 50 meters underground were a perfectly natural place for production of subtly effervescent Crémants. The naturally cool temperature at a constant 12°C is ideal for maturing wine. The caves have a naturally high level of moisture (about 80% humidity at the heart of the cellars), and soft diffused light helps preserve flavor and color of the wines. Believe it or not, in the early 1970s Crémant de Bourgogne wasn’t a thing. Specifically, it didn’t exist as an appellation. The growers of the region knew the resource they had was golden, so in 1972, 430 local winegrowers got together and made a plan to create an appellation d’origine contrôlée (A.O.C.) “Crémant de Bourgogne.” Another quick time travel to 1975 will prove they succeeded! The growers of the area managed to get a statute to officially recognize their wine: it became France’s first Crémant appellation (along with that of the Loire Valley winegrowers). Magnifique! Let’s stay in the present and get to know the wines themselves, now that we know the origins of the region and why the area is so ideal for quality wine. 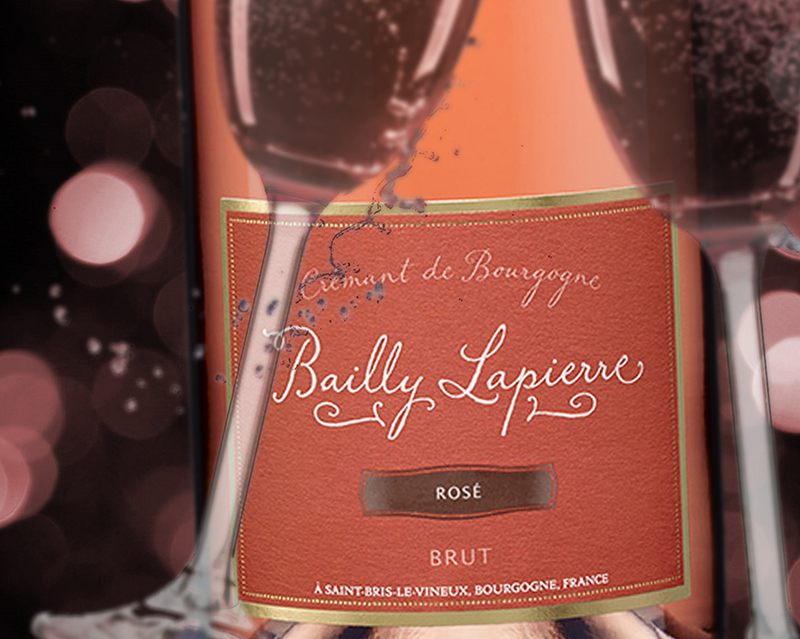 The wines of Bailly Lapierre are made in a very delicate, yet traditional way. The grapes are hand harvested and carefully sorted and then gently pressed in a bladder/air bag press. Each grape variety is pressed separately and vinified separately. The wines undergo primary fermentation, then malolactic fermentation and then the separate wines are blended, bottled. The bubbles of Crémant de Bourgogne are created in the Traditional Champagne method, so they are captured in a secondary fermentation that takes place in bottle, just as they do in Champagne. While sitting inverted on racks in their cool, dark underground limestone cellars, the wines go through an extended maturation of 16-18 months sur lie to add depth and finesse. The final result is a natural, delicate sparkle! And now for something unexpected…..Did you know that there is an appellation in Burgundy that allows for white wine to be produced from Sauvignon Blanc??? It’s true! Saint-Bris is a white wine appellation in the far northwest of the Burgundy region of France, in the Yonne department a few kilometers southwest of the Chablis vineyard zone. Created in 2003, the appellation produces crisp, cool-climate wines made from the Sauvignon Blanc and Sauvignon Gris grape (a clonal mutation of Sauvignon Blanc). This is Bailly Lapierre’s backyard! Saint Bris is a nice alternative to Sancerre and priced very competitively. Though Bailly Lapierre has only been around since 1972, it is a success that was in the making for a very, very long time. This Rosé Crémant comes from lightly steeped Pinot Noir and Gamay grapes. The first variety brings a winey character, the second its unmistakeable aromas of red berry fruit. A wine for easy enjoyment par excellence, it possesses a delicious softness free of anything sugary. Entirely fresh and with real finesse, its mousse displays an almost frothy, airy lightness.